Nicki Minaj is having the time of her life. Today marks the second day of Coachella’s first weekend and already the rapper has had been spotted with Quavo, French Montana, The Weeknd, Chance the Rapper, Kourtney Kardashian, Kylie Jenner, Travis Scott, Timothée Chalamet, and, uh, Shania Twain? While we can’t help but hope for a collaboration between the two, it seems more like Nicki’s weekend was better spent partying than in the studio. In one video, Nicki, Kourtney, Kylie, and company are dancing at what looks like a VIP afterparty with Chance the Rapper and Quavo. Earlier this month, Minaj released two new songs and has hinted that a new album might be on the way. On Friday, it was revealed that she’s featured on Young Thug’s new Hear No Evil EP. 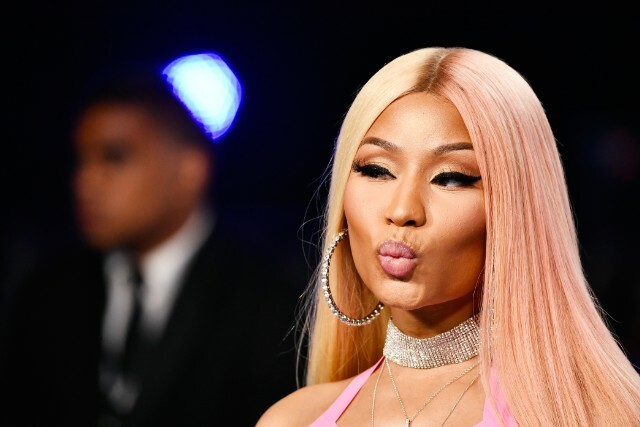 Minaj’s new solo music debuted on Zane Lowe’s Beats 1 show, where she spoke about her relationship with Meek Mill in light of his prison sentence and addressed the rumors that she might have beef with Cardi B.